These are really rare and you won't find these anywhere else. 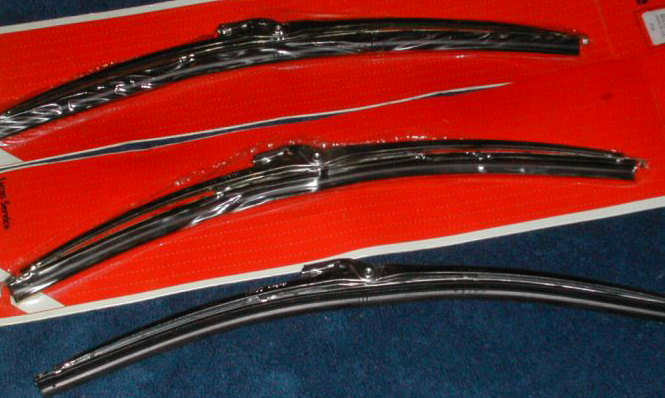 We've still got a few pairs of 13" NOS stainless steel Trico-Folberth wiper blades for the '62 - '71 1800 coupes still sealed in their original packages. They're brand new condition NOS items which makes them quite a find since these have been NLA for 15 - 20 years, if not more. These are the blades that the 1800 came with from the factory for years 1962 - 71. You can't get blades like these ANYWHERE anymore. In fact, we don't even think you can get repros of them. 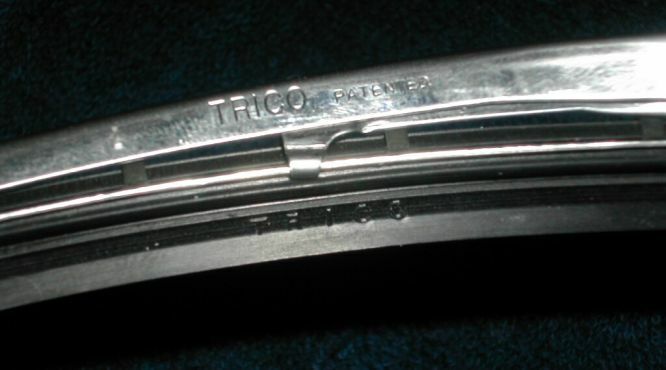 That being said, there are some on-line classic Volvo specialists out there who will sell you Bosch style stainless steel wiper blades that fit the '62 - '71 Volvo 1800 cars and call them "reproductions" of the stock OEM blades, but they're a completely different style and don't look anything like these blades. So if you're planning to enter your car in Concours competitions or just want your car to look as original as possible, these blades are an absolute "must have". Avid Plymouth Barracuda and Valiant collectors and enthusiasts will also know what a rare find these blades are will and covet them greatly. There won't be any more of these available once these few pairs we have are gone. These are probably the last ones you'll ever have a chance to buy so our advice is to jump on this opportunity and pick up a pair while you've got the chance. Air (~ 2 weeks) $18.00 USD.